On 301 in Tampa, Adventures Archery – the “Largest and most complete archery pro shop in the Southeast” – celebrated its Grand Opening on Saturday, August 3. “It was unbelievable,” said owner Mark Ross. The staff estimated close to 1,000 people at the Grand Opening that day where they gave away prizes and Grand Prizes to bow winners. “It was an unbelievable day market-wise, and the follow-up is doing extremely well also,” said Ross the Monday after the opening. Adventures Archery is an 8700 sq. ft. facility with 28 shooting lanes and a dedicated kid’s range upstairs with party capabilities. It is a family-friendly environment where professionals and amateurs can both come to shoot, either with their own gear or store-rented equipment. The store’s brochure advertises two spacious lounge/viewing areas for spectators and a spectacular showroom with mounts of animals bowed by Mark and Susan Ross and their 15-year-old daughter Katie. Katie has been shooting for more than eight years and shot her first record-book animal at age 11. She holds 12 records today. Her father describes her as “the epitome of Katniss” from the Hunger Games. All of the staff at Adventures Archery are bow hunters and some compete in target-shooting as well. Combined, the staff has over 100 years of experience and its bow technician, Ray Roberts, has 20 years on his own. “If he can’t fix it, you better buy a new bow because it probably can’t be fixed,” said Charla Montague who works alongside her daughter, KayDee Webb. “We wanted to make a family-fun place. 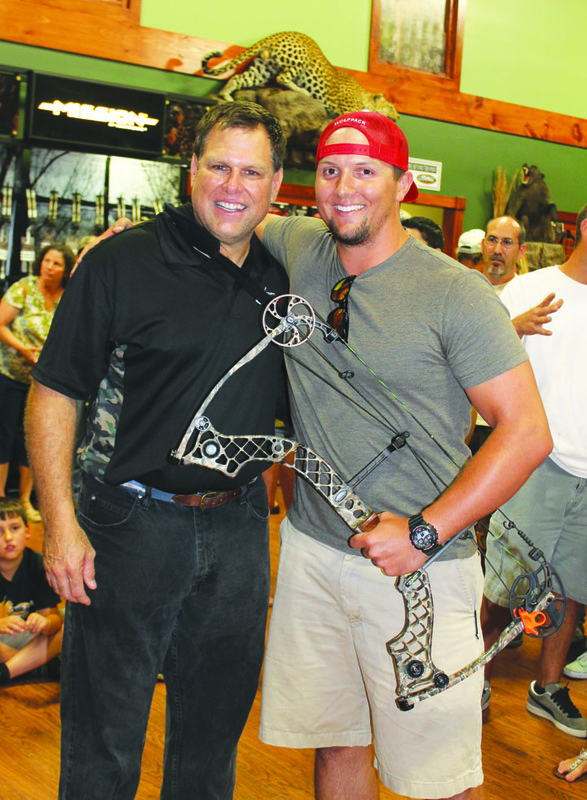 Archery stores are often for serious hunters and can be dismal places,” mentioned Ross. Adventures Archery is building into the National Archery Schools Programs (NASP) and Junior Olympic Archery Department (JOAD). The store also sponsors 2013 National Champion Megan Petit, who uses its facility to shoot. For more information on Adventures Archery, visit www.adventuresarchery.com or visit the shop at 2210 S. U.S. 301 in Tampa.